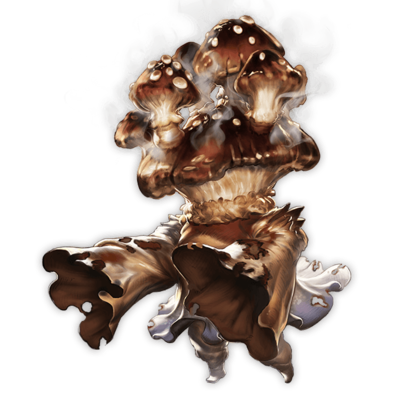 Fresh myconid, coal-roasted to savory perfection. Its thick, succulent meat and exquisite flavor has earned its very own niche group of raving enthusiasts. 50% boost to Earth Elemental ATK. 50% lowered debuff resistance. Massive Earth damage to all foes. Heals 10% of all allies' HP (up to 500). 9T9 turn cooldown.